With high competition in the market, multiple factors need to be examined before making an investment. Like any other investment, investors should initially look at their expected annual yield and compare it with other properties in the same area. After that is taken into consideration, they should look at the payment structure of their investment. If it is an off-plan property, they should look at the payment plan provided by the developer. If it is a ready property and the investor is not paying in cash, examine existing mortgage rates at different banks. Last but not least, compare prices of similar properties in the market. By doing all three, the investor or buyer can comfortably understand whether the investment makes sense. Investors should always be extremely diligent on the value of the products they are investing in. Projects should be viewed through multiple angles and assessed based on specific criteria. For instance, investors should consider the price of the land, the quality of construction and the level of infrastructure in the area they are looking to invest in. These factors can help determine if the project is priced correctly or not. Other factors investors may consider include the development plans around the area they want to invest in. Typically, schools, malls, parks and many more elements to a complete community tend to lift the prices in an area. If a comprehensive study is done on what is currently under development for the location of choice, it could bear fruit for the investor in the future. Investors should decide on their goals and objectives for the investment. Generally, in real estate the goals range from high return on investment (ROI), high return on capital and a mixture of both. Once the goals and objectives are identified, investors can then decide what is competitive in the scope they wish to invest in. The second step is to run a comparative market analysis and look at historical transaction prices or historical rental yields. By doing so, an investor gains a clearer understanding of where the price of the investment is valued today. Both indicators will give buyers or investors an idea of whether or not the amount they invested is a good deal and what potential upside they could expect if the market goes back to its original highs. Transactions should be broken down into two segments. The first segment would incorporate the end-user purchasers and the second would consider the investors. Both have different investment agenda that tackle different interests. The majority of properties being bought by end users are mainly villas and town houses. End users would prefer the use of a larger property with a decent plot, while saving the money that they would have to pay on service fees in a building. With attractive prices and good mortgage interest rates, the average renter is finding more value in purchasing their own residence rather than remaining a tenant. For the property investors, many off-plan investments have presented themselves over the last few months. Areas which were not freehold in the past have begun to open their doors and join the freehold community. Investors typically prefer one-bedroom or studio apartments as they are usually the fastest to rent or sell at any point in time. Also, as the market is leaning more towards affordable housing, the decision to invest for a good rental yield has also presented itself to many new investors. 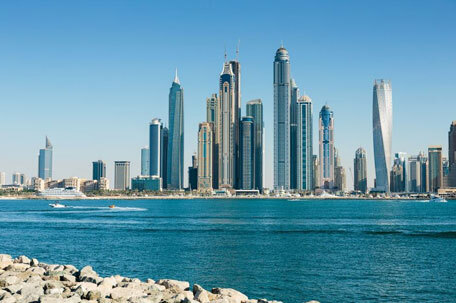 A purchaser can now make returns of seven to eight per cent on properties that could potentially see an increase in asset value of more than 10 per cent as the UAE continues to advance in population, infrastructure, regulations, etc.